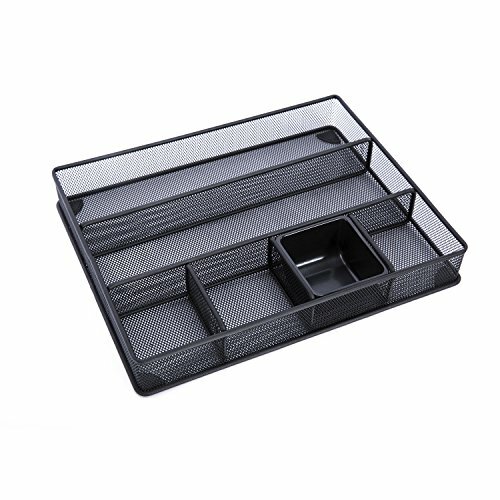 The organizer is a perfect solution for keeping your small office supplies .Use it to neatly arrange your pens, pencils, highlighters, paper clips, sticky notes and more. Increase your productivity by always knowing at a glance just what you have and where it is. Well-constructed and black finish designed mesh tray will keep silverware from damage and rusty.